A fellow hiker stops to take in the beauty that he was in the midst of. 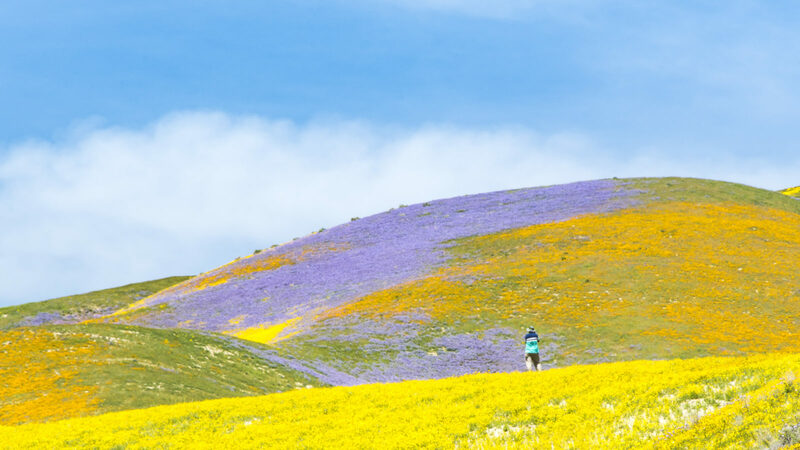 As we hiked up into the Temblor Range of hills at the edge of the Carrizo Plain National Monument, it became quite clear that we would never see anything quite like this again. The term "Super Bloom" seemed inadequate to describe what we were seeing. In fact, all words failed at that point.